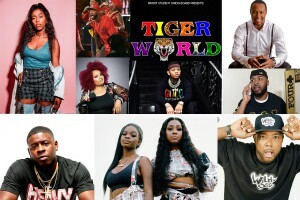 GRAMBLING, LA – March 18, 2019 – Grambling State University’s Annual TigerFest Concerts and Comedy Show will feature Grammy-nominated artists including Kash Doll, the City Girls, Blac Youngsta, and Yella Beezy during the week-long celebration April 7-13. Featuring Comedians: Steve Brown, Comedian Rip Michael’s (Wild N Out), Comedian Tyler Chronicles (Wild N Out), Just Nesh (All def digital) =, and Mr. Bankshot. For interviews and more information about Grambling State University events, please contact mediarelations@gram.edu or call 318-274-2866. This entry was posted in Uncategorized on March 18, 2019 by Jovan Hackley.